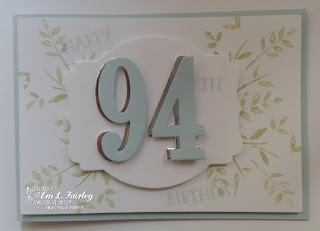 Labels: birthday, Deco Labels Framelits, Number of Years, Numbers Framelits, Stampin' Up! Beautiful card for your grandmother. Your card will be especially special to someone who has reached this young age. Not so many of us live to see this number! Congrats to your grandmother. Happy birthday Grandma!! wow what a blessing for you to have your Grandma with you still!! She is going to LOVE this amazing card. 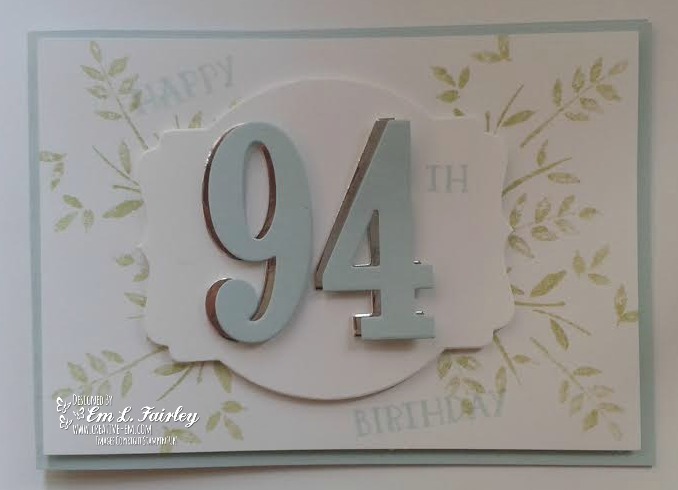 Absolutely beautiful card for your your Grandmother, who I am sure will treasure this! Love this bundle - not done much with it yet myself!! Happy Birthday to your Grandma. Wow, 94! a real blessing for you and your family. Mission accomplished in creating a very special card for her. I love your card and I know that she will treasure it!